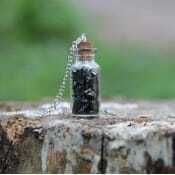 Shungite stones can be divided into three types depending on the content of carbon in it. 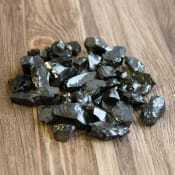 Type III and type II shungite is usually called regular shungite stone and they contain from 30 to 50 per cent of carbon and from 50 to 90 per cent of carbon respectively. 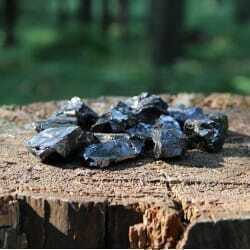 Authentic elite shungite nuggets Found and handpicked in The Republic of Karelia, Russia. MATERIAL.. Authentic elite shungite water nuggetsFound and handpicked in The Republic of Karelia, Russia.MATERI..
Elite noble shungite stones set MATERIAL AND SIZEWeight of the set: 200 grams (0,44 lb) Weight o.. 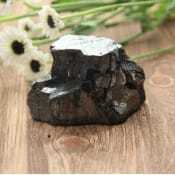 Authentic elite shungite nuggets for shungite water Found and handpicked in The Republic of Karelia.. Authentic elite shungite stones for water purification MATERIAL AND SIZEWeight of the set: 420 gr..
Elite shungite stones set MATERIAL AND SIZEWeight of the set: 750 grams (1,65 lb) Weight of ..
Small elite shungite stones wholesale Weight of the set: 750 grams (1,65 lb) Weight of each stone..
Elite shungite stones for water purification MATERIAL AND SIZEWeight of the set: 200 grams (0,22 ..
Elite shungite water stones from Russia MATERIAL AND SIZEWeight of the set: 420 grams (0,93 lb) .. Authentic elite shungite from RussiaMATERIAL AND SIZEWeight of the set: 1000 grams (2.20 lb)The weig..